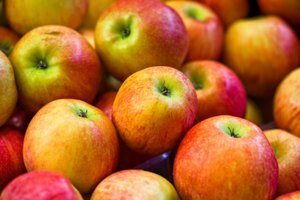 Apples are delicious and very good for you, but eating one that has mold or is rotten can make you sick. 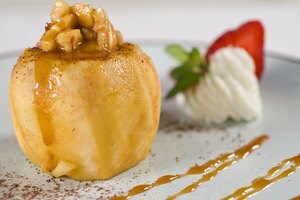 Sometimes, it is hard to tell whether an apple is just bruised and still safe to eat or whether the apple is rotten and needs to be thrown away. 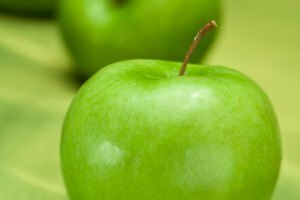 It is especially important to recognize when one apple in the bunch has mold, because this mold can spread and ruin other fruit. 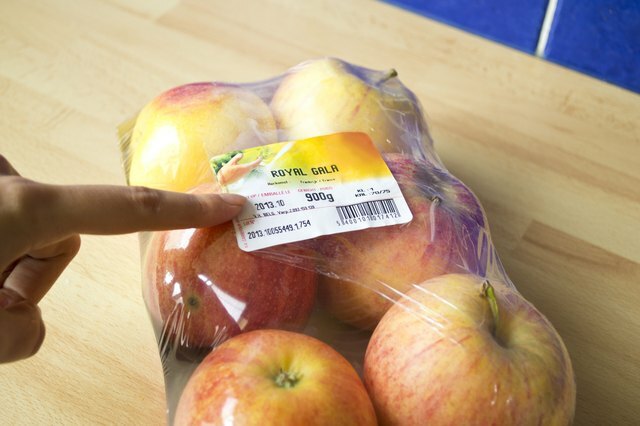 Take a look at the expiration date, if you bought the apples in a bag. If the apples have passed their expiration date, throw them out. 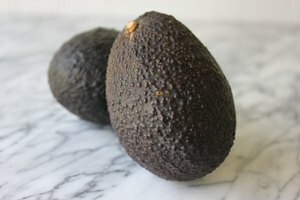 Time frames are important for fruits and vegetables. 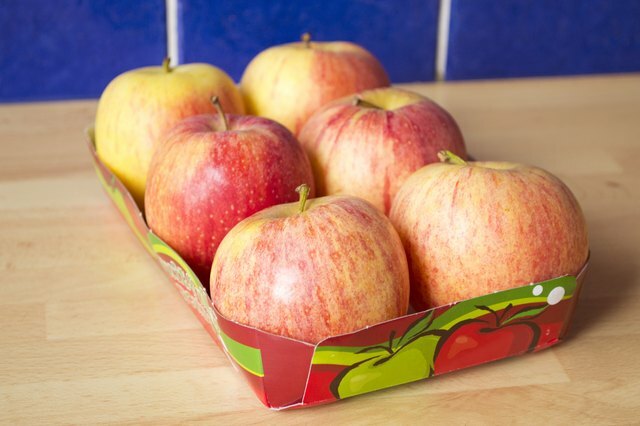 Apples should always be consumed within their expiration dates and not after three or four days of that date. 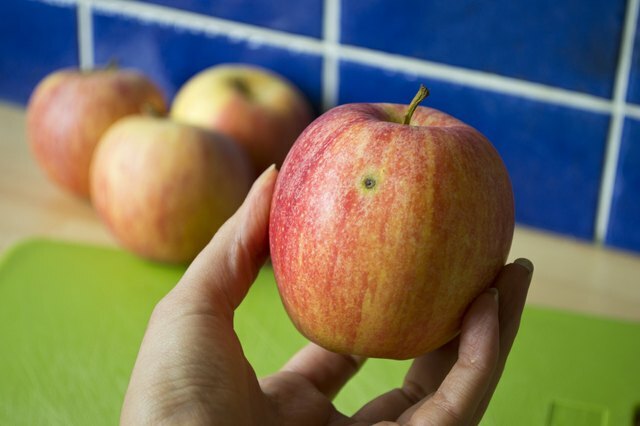 Examine the apple for holes caused by mold or insects. If the apple has mold, throw it out. 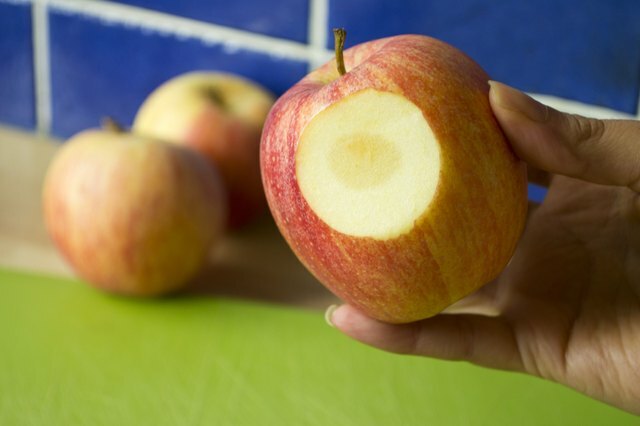 If the apple has holes from insects, the exposed flesh inside of the apple is likely to have molded. These apples should also be thrown in the trash. Check the apple for dehydration. 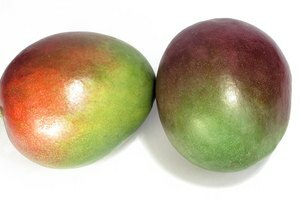 If the apple is hard like a rock, rather than firm and supple, throw it away, as it is too old to eat. Squeeze the apple. A decomposing apple will be soft and squishy. 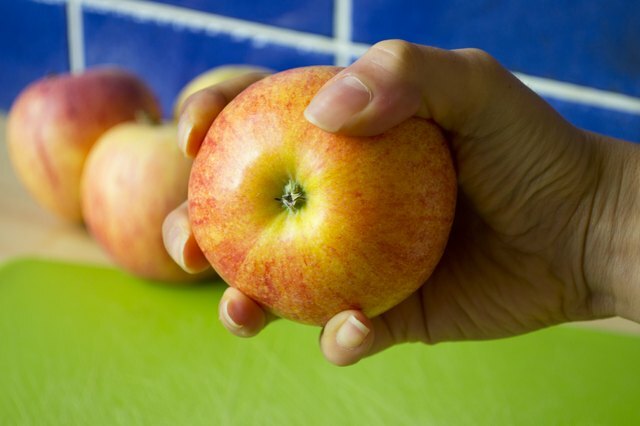 You should not be able to squeeze any juice out of a fresh apple with your hand. 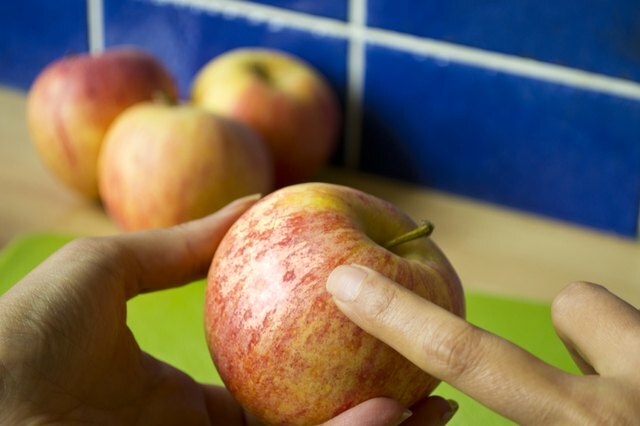 If an apple is too soft inside or if the skin of the apple is wrinkled and loose, throw it out. Check the apple for discolored spots. Some spots can be due to bruising, in which case the apple is still OK to eat. When you find a discolored spot, slice off the skin in that spot. If the flesh underneath still looks white and firm, the apple can still be eaten. If the flesh beneath the discolored skin is also discolored, throw the apple away. If you have ugly, bruised apples that are still OK to eat, stew them or use them to make a pie. Do not attempt to cut off only the bad part of an apple and eat the rest. If part of the apple is bad, the whole apple is bad.